Have you ever tried blowdrying your hair in a rush before? Yep, me neither. That’s because it just simply isn’t an option. The heavy barrel brush, the difficult angles, the time it takes. I can be at work sat at my desk with a cuppa much quicker by sticking to my usual routine of dangling my hair upside down and swirling my hairdryer around my head for a few minutes. However when my hair reaches pancake levels of flatness by lunchtime let’s just say I’m not having the best hair day of my life. The thing about my hair is I have quite a lot of it but it’s very fine and poker straight so achieving a bit of texture and volume is a big deal for me! Gone are the days of back combing and gallons of Elnette – the future is Kate Middleton hair. 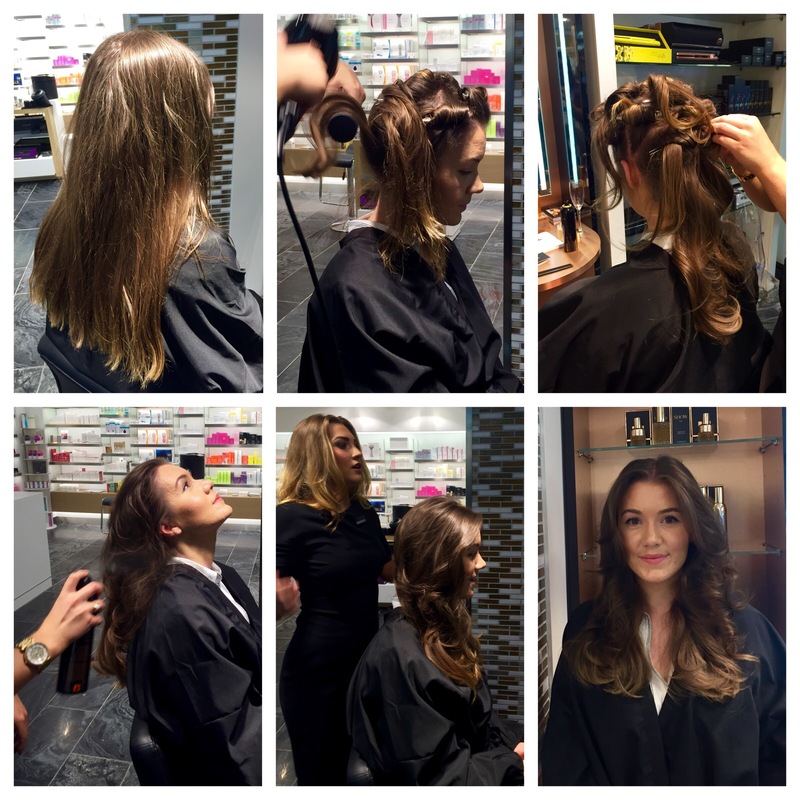 Glossy and naturally bouncy, K Mids has revolutionised the Blow Dry and with help from Show Dry it’s a possibility for everybody…. Been into Harvey Nichols Leeds recently? 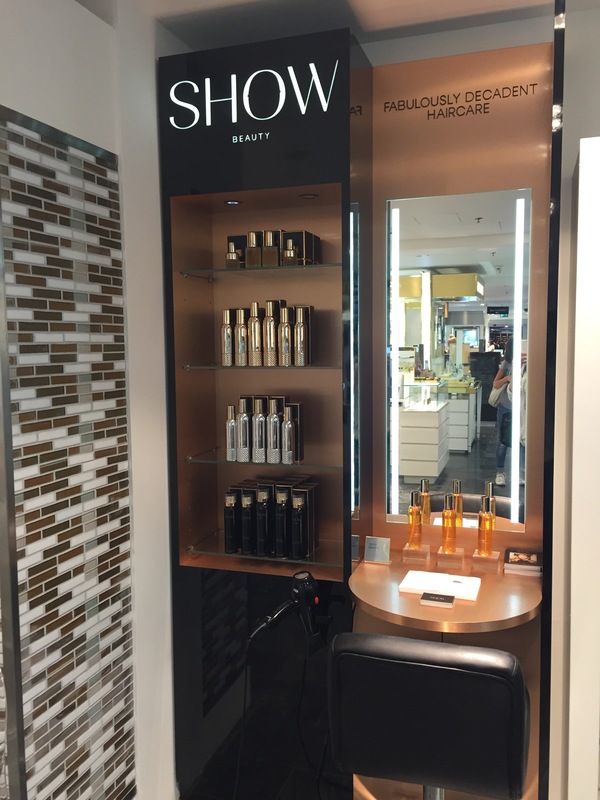 If you head to the rear of the ground floor you will find Show Beauty’s new and luxurious standalone blow dry salon. 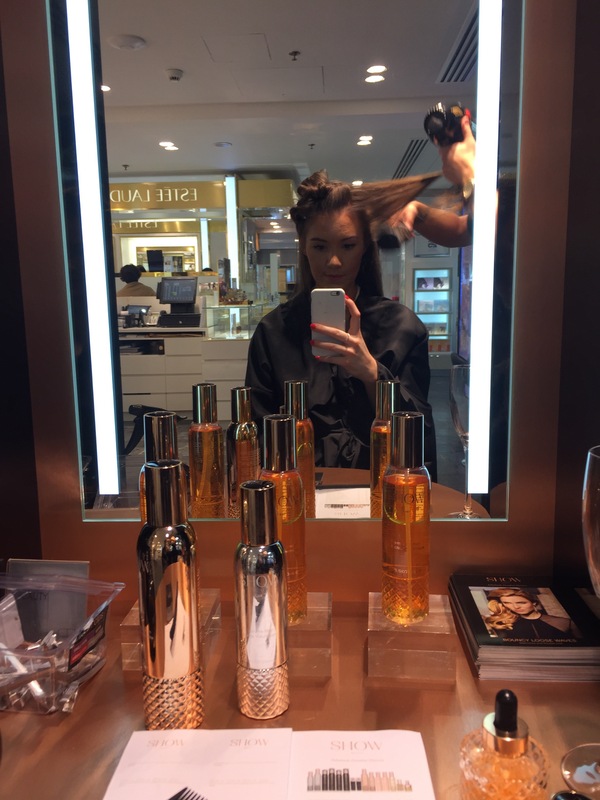 Adorned with their elegant products reflecting off the mirrored lights and their lovely, beautiful Stylist Chelsey ready to transform your ‘do, the blow dry bar is a revolutionary service that gives busy women the chance to experience half an hour of pampering and amazing hair. 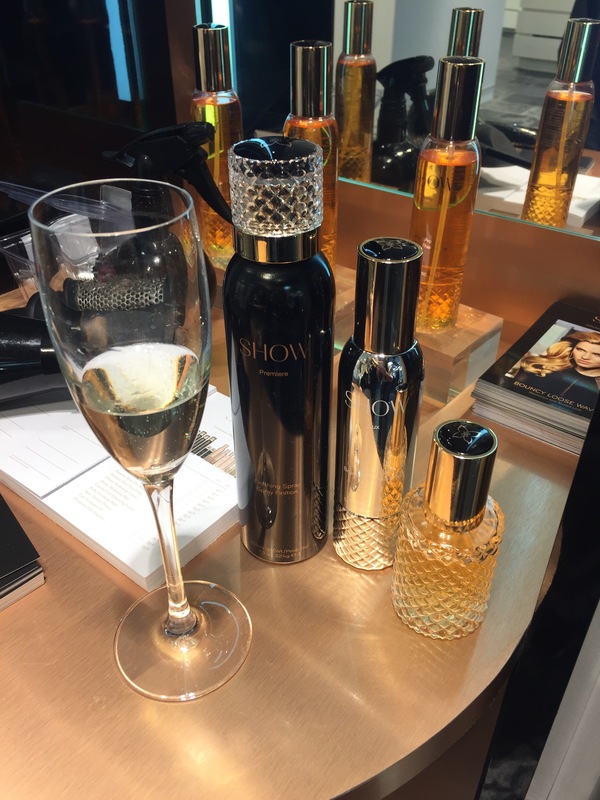 Show Dry is the innovation of Show Beauty, a brand founded by Tamara Ecclestone that prides themselves on creating effective and luxurious hair products and treatments for the everyday woman – from busy mums to businesswomen. 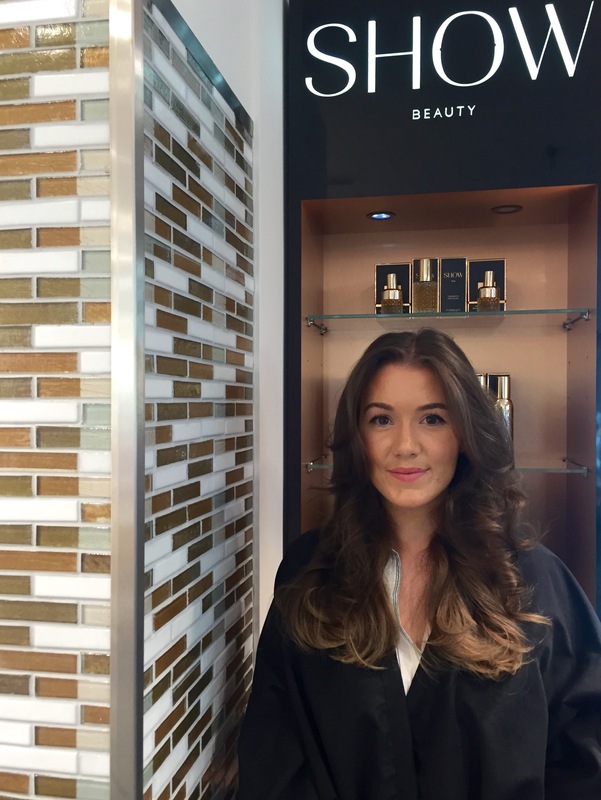 As you would expect from Tamara’s brand, it oozes glamour – after Chelsey used the Pure treatment oil, Divine thickening lotion and Finishing spray on my blow dried locks I was left with bouncy, voluminous hair – I couldn’t help but feel glamorous and for some reason I felt a tiny bit empowered. There’s a certain power that a blowdry can create and only you can understand it. It’s like, ‘my hair is perfect do not mess with me’ vibes. If you’re having a stressful day for whatever reason and need a pick-me-up, Show Dry can help you gain a little control back – everyone needs to treat themselves to maintain a healthy balance. For whatever reason, if you have good hair, life is just better! They say you should never waste a blowdry on an insignificant day but with Show Dry, the everyday days are now worthy of a blowdry too! A big thank you to Victoria Quarter, the home of Harvey Nichols Leeds, for inviting me down to check out Show Beauty’s Show Dry!